JMFitness is an adaptive athletic program created by the Joseph Maley foundation to give athletes of all abilities the opportunity to play sports. Joseph Maley was born with physical and cognitive disabilities, and never gained the ability to speak. Despite these hurdles, Joseph spent the 18 years of his life inspiring others with his resilience, spirit, smiles, and hugs. In 2008, Joseph’s family established the Joseph Maley Foundation. Their goal was to carry on Joseph’s legacy and show children of all abilities they are capable of having a positive impact on the world. Nearly a decade later, the name Joseph Maley has inspired thousands of people to accept and serve others. Today, the Joseph Maley Foundation operates seven programs that empower kids with all abilities. One of those programs, JMFitness, strives to make adaptive and inclusive athletic opportunities available to every child. JMFitness teaches the power of respect, acceptance, and kindness through a customized program that pairs up volunteers and athletes according to the athletes’ needs, strengths, and motivations. JMFitness inspires people to accept and serve others. Athletes have the opportunity to participate in football, basketball, tee-ball, swimming, cheerleading, yoga, cross country, and track & field. Regardless of the sport, JMFitness builds relationships based on what athletes can do, not what they can’t do. 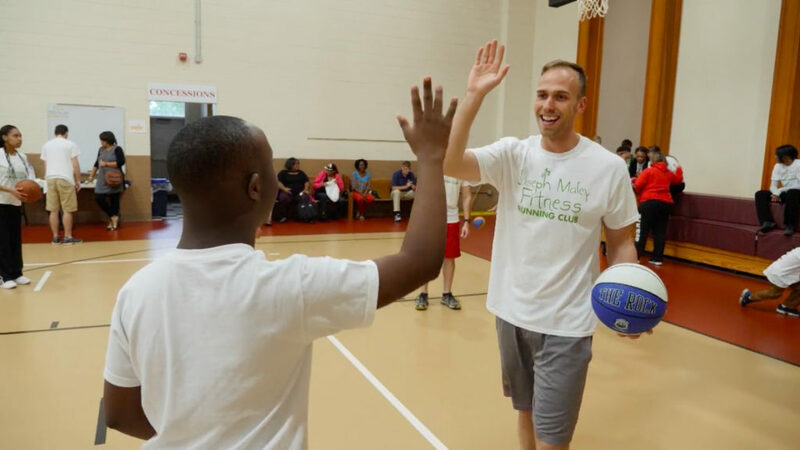 In 2017, JMFitness helped the Joseph Maley Foundation serve 26,000 people in central Indiana, showing that sports give us the power to inspire and the power to accept. To learn how you can help support JMFitness or the Joseph Maley foundation and it’s other programs, visit JosephMaley.org.